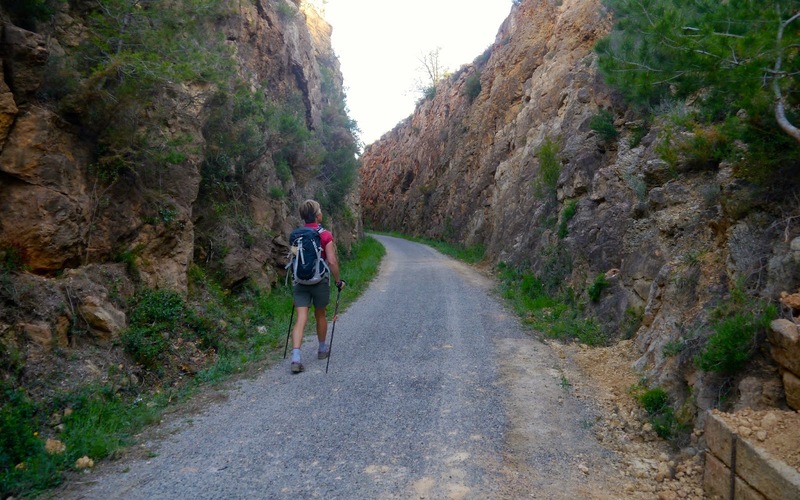 If you're a walker like me who is looking a challenge, somewhere different and not yet 'fashionable', and a route that takes you through great scenery to special places to sleep at the end of each day's hike than my suggested itinerary for Castellón should be interesting. It combines remote walking (not hard in Spain) along ancient but largely abandoned footpaths with visits to a series of stunning hilltop towns. It's accessible from the UK and elsewhere (fly into Valencia or Barcelona) and a hike can be combined with visits to the wonderful cities of Tarragona and Valencia. It's easy to self-organise and the accommodation and food are excellent, interesting and great value. Castellón is at the heart of the 'El Cid' legend and was an early battleground for the 'reconquest' of Spain. The history is reflected in the architecture of the towns the core of which are typically medieval with Moorish antecedents and built at heroic and defensive locations. 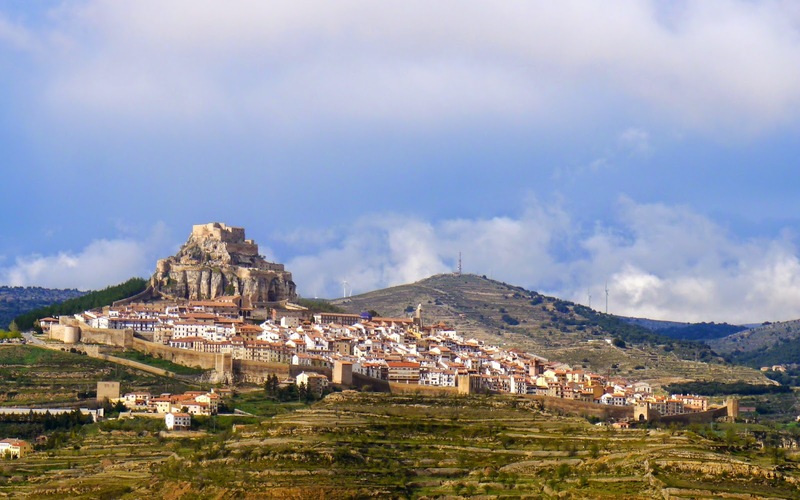 The jewel in the crown, reached on the final day of the walk, is Morella. This is a wonderful place and like something from a fairy tale. It's built around a sharp promontory topped with a castle and it's jammed packed streets are held in a firm grip by huge walls still intact. 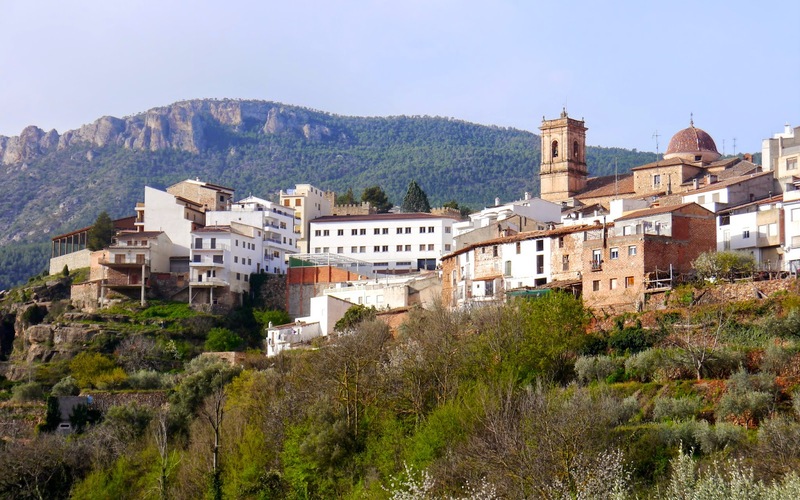 Although not as spectacular as Morella, the other towns on the route, Jerica, Montan, Montanejos, Villahermosa, Vistabella, Culla, Benasal and Ares del Maestrat are all beautiful towns and worthy of a visit in their own right. I went to Castellón in mid-April and enjoyed good weather. It's the second time I've been and the weather wasn't so kind on the first visit. Most of the walk is between 700 and 1000m and it can be cold in April and although spring is starting to happen, its actually later at that altitude than it is further north in the UK. April is a good month to go, but May would be even better. The best part of the route, from Montan to Morella, follows the GR7, Spain's oldest GR route, which links the Pyrenees with the south coast. There are three walks that head up from near the coast and intersect the GR7 - the GR10, the GR160 and the GR36. 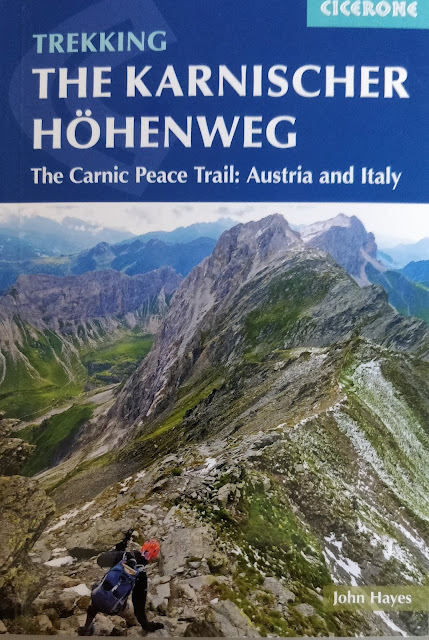 Both the GR10 and the GR36 look like excellent trails, but unfortunately finding accommodation along these routes proved impossible so I chose the GR160. To be honest, I was also interested in sampling the GR160 as it forms part of the new 'El Cid' complex of routes that runs from Burgos in NW Spain all the way through to Alicante in the SE. What I found was a great route for cycling, but a poor one for walking - long flat stretches many of which were on hard surfaces. I'll describe the first two days in the trip notes, but would recommend starting the walk at Jerica which you can get to from Valencia by train. 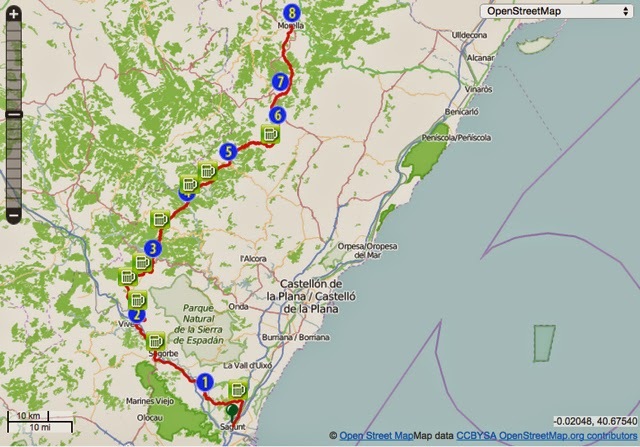 If instead of starting the walk at Segunta (see map), you start at Jerica then it takes 6 days to get to Morella. If time allows, however, then it makes sense to stop at Vistabella for 2 nights and make the easy climb up to Penyagolosa (1813m) a beautiful mountain that dominates the views from the coast. There are also good local walk options at Montanejos and Morella that make prolonged stays in those two towns attractive. If on the other hand time is precious and you need to shorten the itinerary then it is possible to walk from Benasal to Morella in a day (9hrs) and miss out on the stay at Ares del Maestrat. Although not a technically difficult walk it does pass through remote and largely empty countryside. 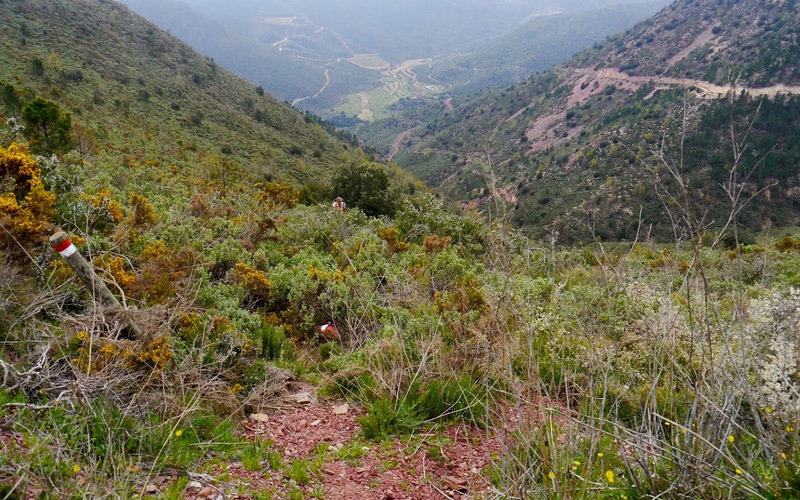 Spanish walking is not supported by good maps and although the route is waymarked it's easy to miss, particularly as tempting and misleading alternatives constantly present themselves. On all my trips to Spain, and elsewhere in Europe, I use the Viewranger app which sits on my Android phone. The outline trip report along with the route can be found by following this link and as I build up the trip notes I'll add them to that report as well. Nice to confirm that you enjoied the trek and are right at home again. Wait to see you here again soon. Good to see you have been exploring some of the mountainous 'bits' of Castellon. I loved that area on the GR7 and agree with your comments re the villages, hostales and food. The gateway cities of Valencia, Castellon, Reus and Tarragona are all worth a few days exploration. All you have to do now is continue up the GR7 to Andorra. But I'm sure you will have other routes planned for the summer months.